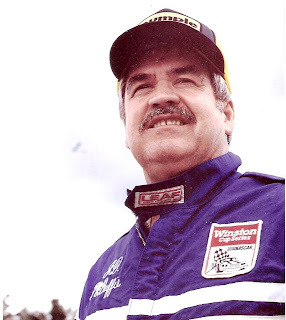 (SOURCE: McDuffie Collection; "Forty Years of Stock Car Racing"
Twenty years ago Thursday, under heavy overcast skies, a young Marty Burke walked out onto pit road at Watkins Glen International. He stopped at the driver’s side of a Pontiac that sat 35th on the grid for the 1991 Budweiser at the Glen. 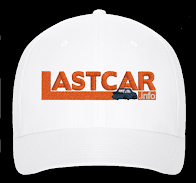 The car was burgundy and black with a sharp white racing stripe around the middle, a distinctive paint scheme the driver came up with after spotting a sharp-looking new Cadillac outside a restaurant earlier that year. Peering through the window of car #70, Burke met eyes with the fifty-two-year-old driver, who was still smiling from beneath his open-faced helmet about his win in a celebrity race the night before. The driver was J.D. McDuffie. Over the rumble of idling engines, Burke talked with J.D. about their plan for the 90-lap race. They would run in the middle of the pack early on, then make a bid for the Top 20, maybe even a Top 15 if things shook out right. J.D. was winless in 652 previous starts and hadn’t finished any better than 22nd since late 1987, but driver and team had many reasons to be excited. Thanks to shocks rebuilt by Bilstein, a brand-new transmission purchased on auction from the defunct Blue Max Racing team, and a powerful motor built by fellow team member Gerry Glenn, the oldest car in J.D.’s fleet could now run flat-out down The Glen’s 2600-foot backstretch. In Happy Hour, J.D. even pulled up on polesitter Terry Labonte, who broke the track record in qualifying, before both braked for treacherous Turn 5. Consistently, J.D. negotiated the hard downhill right-hander safely, even as nearly a half-dozen of his fellow competitors - including defending winner Ricky Rudd - left practice with cars damaged or destroyed by the unforgiving tire barriers at the edge of Turn 5's grassy runoff. Even a new sponsor took notice of J.D.’s performance as local New York construction firm L.C. Whitford Co., Inc. signed-on for a one-race deal, putting their logo on the quarter-panels. But nothing could prepare Burke - and everyone else in attendance - for what happened on the fifth lap. For Burke, the crash that claimed the life of veteran NASCAR driver J.D. McDuffie that day took with it not only a boss, but a business partner, a mentor, and a close friend. In an interview I conducted with Burke in May, I invited him to share some of these memories. As a result, as with crewmen for many other single-car teams at the time, Burke’s work for J.D. required he fill a number of roles for the organization - so many, in fact, that by 1991 he’d worked every position but jackman. As J.D.’s rear tire changer, for example, Burke hustled-up tires from other teams, most often Melling Racing, and calibrated stagger on pit road. 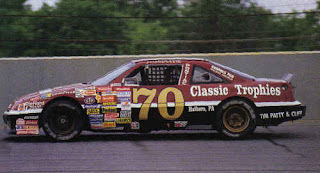 Also, as one of J.D.’s sponsors, Burke’s Pennsylvania company Classic Trophies, one of a number of businesses he owned at the time, was on the #70 when money was tighter than usual. And it often was. Even as his fellow independent drivers were gradually squeezed out of the sport, J.D. and his rag-tag group continued to plug away, at times turning heads with surprising success. One of Burke’s fondest memories came during SpeedWeeks 1989. Though it is true that J.D. has 32 last-place finishes, the most of any NASCAR Sprint Cup driver as of this writing, Burke also pointed out that, while start-and-park teams did exist at the time, J.D. never used this strategy - even when it was more economical to do so. But what Burke remembers best about those seven seasons was working alongside J.D. 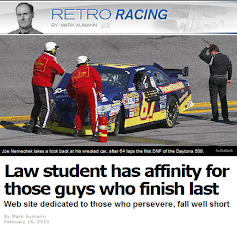 himself and the lessons he learned from him as an aspiring race car driver. The first phase of the plan commenced in March of 1991, when Burke purchased the oldest of J.D.’s three Winston Cup cars. J.D. 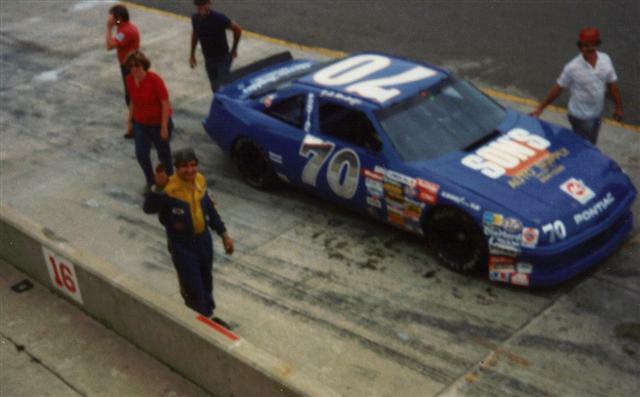 acquired this particular car five years earlier from Tom Winkle, a Defiance, Ohio car salesman who invested in the #70 team in 1986. Winkle, looking to follow in the footsteps of an already-successful Rick Hendrick, purchased the car from Richard Childress, converting it from one of Dale Earnhardt’s old Wrangler Chevrolets into a 2+2-bodied Pontiac sponsored by AC Spark Plugs. Winkle, impatient with the team’s progress, parted ways with J.D. early in the 1986 season, but J.D. kept the car. Since J.D. 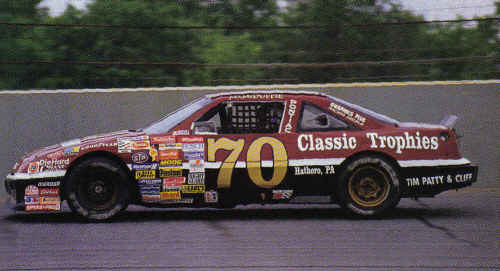 still had two newer Hutcherson-Pagan chasses with fresh 1991 Pontiac sheetmetal, one dark-blue (J.D.’s customary paint scheme, carried on the car that made the 1989 Daytona 500 field) and the other cherry-red, this oldest #70 was now Burke’s. But racing luck was not on J.D.’s side. Though he and his blue Pontiac qualified for the spring race at Darlington and finished under power in 30th, he failed to qualify for eight of the 1991 season’s first ten races and skipped the 500-miler at Atlanta. After he missed the show at Talladega that April in his Darlington car, J.D. was allowed to compete as a late entry in the ARCA race, the Poulan Pro 500k, back when Cup backmarkers were allowed to compete in the series. Unfortunately, the day ended with J.D.’s car destroyed following a tragic late-race accident. After he ran as high as 9th, J.D. cut low entering turn one to avoid the flipping Oldsmobile of young Chris Gehrke. Just as he hit the grass, Gehrke’s car collided with Carl Miskotten’s Buick, sending a huge chunk of debris into J.D.’s path. J.D. drove away uninjured from the resulting crash to finish 25th, but Gehrke was fatally wounded. Then, just under a month later, J.D. qualified for his 2nd Cup race of the season at Dover only to leave with his second red Pontiac annihilated after Kenny Wallace sent him spinning into the inside wall on the backstretch. Again, J.D. was uninjured, but now both his cars were destroyed, waiting to be repaired back in his garage. Thus, while the two Hutcherson-Pagan Pontiacs were being rebuilt back in Sanford, Burke assumed yet another role for J.D. 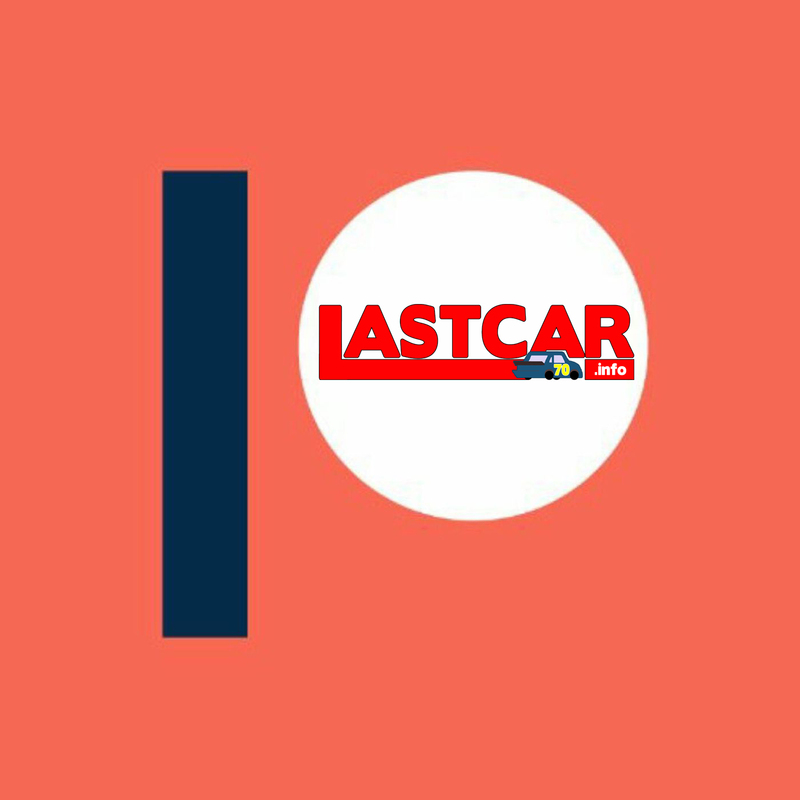 : as car owner. J.D. qualified Burke’s car for both Cup races at Pocono that summer, finishing 34th in June and a season-best 25th in July. The car also made an appearance in ARCA, finishing 13th at Michigan in June. With neither of the damaged cars ready in time for Talladega, the team then looked toward preparing Burke’s car for Watkins Glen. With work completed, J.D. strapped that Pontiac to the rear of “Ol’ Blue,” the team’s aging open-topped hauler, and headed out for the long drive north. As J.D. McDuffie neared New York, “Ol’ Blue’s” brakes failed. Somehow, he was able to bring the hauler to a safe stop, but was unable to afford any lost time getting to the track, knowing he would have to qualify on speed as three teams would be sent home. So, J.D. put a pop-rivet in the brake line, climbed back in, and brought both car and driver safely to the 2.428-mile road course. Burke met J.D. when he arrived at the track for signing day on Thursday, August 8, 1991. The next day, J.D. had qualified for his sixth consecutive start at The Glen, one of his favorite racetracks. Another obstacle had been overcome. The risk had paid off. Now, it was time to have fun. Looking back on the Watkins Glen weekend, the events leading up to the race feel surreal to Burke. In a season plagued with tremendous difficulty for a team struggling to survive, an unexpected trip to victory lane gave J.D. and his team a boost of confidence right when they needed it most - no one knowing how short-lived their joy would be. J.D. paid the check. Then the team drove back to Watkins Glen. In the years since the crash, Marty Burke has continued to carry on the legacy of J.D. McDuffie. 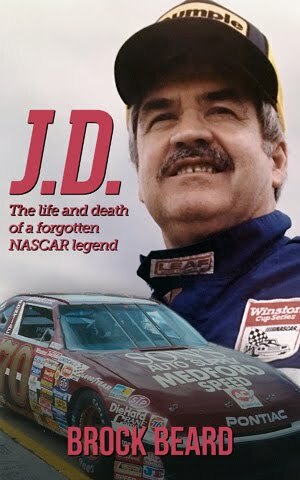 In 1991, he licensed the likeness of J.D.’s #70 - complete with Burke’s Classic Trophies logos - to die cast manufacturer Racing Champions, arranging it so the profits would go toward helping J.D.’s widow Jean raise their grandson. Though the events of August 11, 1991 put Burke’s racing career on hold, he soon discovered that he had more in common with J.D. than he thought: no matter what the adversity, Burke was determined to not give up his dream of racing. He sold Classic Trophies in 1997 and moved from Pennsylvania to Texas, where he resides today as an owner-driver of his own drag racing team and custom race part business. Today, Marty Burke Motorsports has held NHRA national records from 2000 to 2004 and continues to compete today. On the front page of his website is a photo of his modified Mustang - painted the same shade of burgundy as the car he shared with J.D. - rearing-up at the starting line. And, with every flash of the green lights and the roar of his engine, Burke continues to pay tribute to his mentor and the friendship they shared. But, most of all, Burke is protective of J.D.’s legacy and determined to dispel the misconceptions of the competitor who made him the man he is today. Awesome article, Brock......I love it when people take the time to highlight the careers of guys like J.D. Every time I see the cars go through the inner-loop, I think of J.D. Yes, awesome article Brock. I bet J.D. McDuffie's watching Marty Burke from heaven and is proud of him. "Ol' Blue" (JD's open back hauler) had LONG since been retired. I am certain that as of 1988 he had a large, enclosed hauler (like the one pictured in the die-cast set: White with Red & Blue stripes) as I have a picture of it leaving Atlanta in 1988 after what must have been a DNQ for the season finale Atlanta Journal 500. This post is very nice.Thanks for posting such information.All comments are very nice also.